The Opposition is making a very big toss about Prof Dr Redhuan Othman’s removal as Director as University Malaya Centre for Democracy Elections (UMCEDEL) is nothing but a cheap ploy for political mileage, by distorting facts, manipulating online media postings and perpetuating the lie further via Opposition Leaders’ social media accounts. The removal of renowned political scientist Professor Datuk Dr Mohamad Redzuan Othman from Universiti Malaya’s Centre for Democracy and Elections (UMcedel) is another blow to academic freedom and impartiality in public universities, opposition lawmakers said today. They said the former UMcedel director was impartial in his research and had criticised both Barisan Nasional (BN) and Pakatan Rakyat, but added that his impartiality was apparently not enough for BN, which was said to be unhappy with Redzuan for purportedly being opposition-friendly. “The action by the Minister of Education is a disgrace and proves that he is unfit to be leading the main policy body to train and equip our young leaders with critical thinking and analytical minds,” DAP publicity chief Tony Pua told The Malaysian Insider. “What is the point of conducting empirical studies to obtain reliable statistics for in-depth analysis, if one gets the sack when the conclusions are not favourable to BN?” he asked. Pua said it was no surprise that local academics find it difficult to get their research published in international journals for peer recognition, noting that this culminated in poor international rankings. “If the Ministry of Education cannot grant academic freedom and political impartiality to our local professors, in this case the study of political science, UM might as well shut down the entire department,” said Pua. Pua said the ministry’s directive to Redzuan was “hardly surprising”, as it was not the first time it interfered in a university’s academic freedom. The Petaling Jaya Utara MP noted that Professor P. Ramasamy and Dr Aziz Bari were both forcibly removed from University Kebangsaan Malaysia and International Islamic University Malaysia, respectively. DAP’s Seremban MP Anthony Loke told The Malaysian Insider that the move showed there was no room for academic freedom in Malaysia. He said Redzuan’s research on elections was always accurate, and anyone unhappy with the results could simply disagree with his findings, rather than prevent him from conducting future studies with UMcedel. Loke, who is also DAP national organising secretary, urged the government to confirm whether it had interfered in the public university. DAP’s Serdang MP Dr Ong Kian Ming, a former lecturer himself, urged education ministers Muhyiddin and Datuk Seri Idris Jusoh to give their full commitment towards upholding academic freedom in higher learning institutions. “[They must] make it clear to all civil servants and vice-chancellors that this academic freedom is a crucial part of improving our academic standards and rankings. Ong added that rather than be punished, Redzuan should be applauded for his efforts to carry out surveys on elections, a field in its infancy in Malaysia. He pointed out that academic freedom, especially in the social sciences, was an integral part of pushing the research agenda in any university. “It should be noted that UMcedel was accurate in predicting a win in the popular vote for Pakatan Rakyat in GE13 but that the BN would win the majority of seats,” he noted. Ong said Redzuan had also chaired a UMcedel forum post-GE13, and invited himself, Umno’s Datuk Saifuddin Abdullah and PKR’s Bukit Katil MP Shamsul Iskandar. “This kind of engagement with BN as well as PR politicians should be part and parcel of the research agenda of any institute or centre that examines and does research on elections in Malaysia,” said Ong. Following The Malaysian Insider breaking the news of Redzuan’s removal this morning, Saifuddin, the former deputy higher education minister, announced that he was quitting as senior research fellow at UM’s Faculty of Arts and Social Sciences, in solidarity with Redzuan. In a Facebook post today, he confirmed that “certain quarters” from the Education Ministry had pressured Redzuan to quit as UMcedel director. “But he did not make a big fuss of it. Today, his tenure as dean was also discontinued, even though he was nominated by the lecturers of the Faculty of Arts and Social Sciences,” wrote Saifuddin. The Malaysian Insider understands that Redzuan’s work in UMcedel has sealed his fate at the university. It was learnt that over the last few years, UMcedel had irked Putrajaya with its various survey findings showing the ruling Barisan Nasional (BN) in a bad light. One survey which was said to have rattled the BN was conducted during the run-up to the 2013 general election, where its findings showed that Prime Minister Datuk Seri Najib Razak trailed behind opposition leader Datuk Seri Anwar Ibrahim. The UMcedel poll showed that more than 60% of voters surveyed favoured Pakatan Rakyat’s (PR) manifesto, compared to just 50% for BN’s election pledges. It also showed that 43% of respondents believed that Anwar was qualified to be prime minister, pipping Najib by four percentage points. Najib had rubbished the findings and many BN supporters questioned the methodology used. UMcedel in its reply noted that Najib had been pleased with earlier surveys after he had assumed office which painted a positive picture of him and the BN. However, despite the projections, BN won the 13th general election but with a reduced majority, capturing 133 parliamentary seats. Pakatan, meanwhile, clinched 89 out of the 222 parliamentary seats. Within the academic circles, it is common knowledge that Redzuan, a history professor, had often faced pressure‎ from the Education Ministry over the centre’s findings. The Malaysian Insider learnt that Putrajaya was also unhappy with Redzuan for purportedly being opposition-friendly, although he had on many occasions explained it by saying, “where would I be without politicians”. Apart from surveys on the BN and Najib’s popularity, UMcedel had also conducted a study on Deputy Prime Minister Tan Sri Muhyiddin Yassin and the Umno elections. Pressure against Redzuan included interference in his university programmes that involved PR leaders, which the academic had repeatedly resisted. ‎According to UM’s website, Redzuan was to serve as director from February 26, 2012 to December 31, 2014. It is understood that a ceremony will be held today to hand over his post to his deputy, Profesor Dr Md Sidin Ishak. – June 30, 2014. The truth is far from these wild and baseless accusations. Prof. Dr. Redzuan wasn’t removed from the UMCEDEL directorship recently. He left sometime earlier in the year. What happened recently was his tenure as the Dean for the Faculty of Arts had expired and University Malaya (UM) did not renew it. The basis for the committee, which was chaired by the Vice Chancellor and comprises several Deputy Vice Chancellors and fellow professors to advise the university not to renew Prof. Dr. Redzuan is very simple and straight forward. Prof. Dr. Redzuan’s mandatory retirement is less than six months. It made better sense for UM to appoint someone who could serve the post as the Dean of Faculty Arts for more than six months. Otherwise, UM had to look for another chap to fill that post when Prof. Dr. Redzuan had to go by the end of the year. One of the UM Research Fellows as usual. over reacted. PETALING JAYA: Former deputy education minister Datuk Saifuddin Abdullah (pic) has announced that he is quitting his position as University Malaya (UM) senior research fellow following the controversial dismissal of a professor at the university. “On the principal of academic freedom and solidarity, I quit as Senior Research Fellow UM today. This is in relation to Prof Redzuan’s case,” he tweeted on Monday morning. According to reports, UM’s political science lecturer Professor Datuk Dr Mohammad Redzuan Othman was asked to quit his position as director of Universiti Malaya’s Centre for Democracy and Elections (UMcedel) by the Education Ministry as the ministry was unhappy with independent surveys and polls on Malaysian politics conducted by the professor. It was also reported that Professor Dr Redzuan’s position as dean of the Faculty of Arts and Social Sciences department was not renewed. The reports claimed that the professor’s termination was due to the dissatisfaction over the results of Professor Dr Redzuan’s surveys and polls, which allegedly showed Barisan Nasional in a bad light. Whether or not UM is happy with Prof. Dr. Redzuan’s performance as Dean of Faculty of the Arts and/or Director of UMCedel, the fact is that he days are numbered due to the mandatory retirement. The usual practice is civil servants due for retirement serve their leave which they have yet to utilise up to three months ahead of their last official day in service. Hence, if Prof. Dr. Redzuan has the same amount of unutilised leave, the change-over for a new Dean which is only 55 years old at this point of time is the right and logical choice. It is sinister to suggest Ministry of Education usurp public institute of higher learning, especially UM which is the pioneer of all universities and alma mater of the Deputy Prime Minister and Minister of Education, to propagate political lineage especially towards BN. The Minister had always been professional in allowing the university office bearers to run their institution professionally. Time has proven many academicians who were very critical of leadership like Tun Dr Mahathir Mohamad and the decisions he had eventually came to there senses saw through at it were about. later, the manifested their support forTun Dr Mahathir’s wisdom and visions. Personalities like Dr Chndra Muzaffar, Dr. Mohd Fairus Kharuddin, Ramlah Adam and even Jomo K Sundram. Referring to the current news reports, highlighting the issue of Professor Mohammad Redzuan’s tenure as the Dean of Faculty of Arts and Social Sciences not being extended, the management would like to state that this was a decision based on democratic and transparent election process. The management would like to clarify that this election exercise is a normal process to decide the faculty deans for the upcoming term after their tenure expires on the 30th of June 2014. The position of faculty dean is an administrative position, whereby the appointment is by the Vice-Chancellor for one term (2 or 3 years) and subject to the normal process of selection: application by academic staff, election by faculty members; followed by interview and a panel selection headed by the Vice-Chancellor. In accordance with the University of Malaya constitution 2010, sub section 24(4) which provides the Vice-Chancellor the authority to appoint a Dean/Director for each faculty, school, centre, academy and institute, the Vice-Chancellor shall appoint the said Dean/Director from among three candidates who have received the highest scores. From the list of the three candidates who received the highest scores from the elections held from the 10th to 12th June, an interview was conducted with each of the candidates from the 17th until 20th of June to decide on the appointment of the new Dean/Director for 2014. Professor Mohammad Redzuan was shortlisted among two other candidates, Professor Dr Md Sidin Ahmad and Professor Dato’ Dr. Azizan Hj Abu Samah. After lengthy deliberations, the management decided to appoint Professor Dr Md Sidin, 55, as the new Dean of Faculty of Arts and Social Sciences, taking into account Professor Mohammad Redzuan’s, 59, expected retirement next year and the opportunity for Professor Dr Md Sidin to familiarize himself with his new role as Professor Mohammad Redzuan’s successor. The management also took into consideration the the two terms served by Professor Mohammad Redzuan (3+2 years) with Professor Md Sidin’s appointment providing stability in line with the faculty’s succession plan. The appointment of Professor Md Sidin, is timely as he was formerly the Deputy Dean (Postgraduate) Faculty of Arts and Social Sciences for 5 years and is seen as the perfect candidate to continue in the faculty’s outstanding culture of excellence in research. Regarding the allegations of outside interference in the removal of Professor Mohammad Redzuan as the Director of University of Malaya’s Centre for Democracy and Elections (Umcedel), the management would like to take this opportunity to clarify certain issues regarding this matter. Firstly, the management would like to categorically state that this decision was taken in the interests of the university and not in any way linked to any form of pressure from outside parties. This decision was solely taken by University of Malaya in light of Professor Mohammad Redzuan’s impending retirement next year and to provide his deputy, Dr. Amir Saifude Ghazali an opportunity to familiarize himself with the responsibilities as a the survey body’s director. Nevertheless, Professor Mohammad Redzuan will still be contributing his expertise as a member of UMCEDEL’s research group and as a professor in the History Department in the Faculty of Arts and Social Sciences. His invaluable knowledge and wisdom will certainly be asset in grooming the upcoming political researchers in maintaning UMCEDEL’s position as the premier political research body in the country. Several elected Johor Opposition leaders were behaving like traitors and rubbishing a national EPP project, at the expense of the strategic interests of Malaysians and future economic benefits and development opportunity of Malaysia in a foreign country. 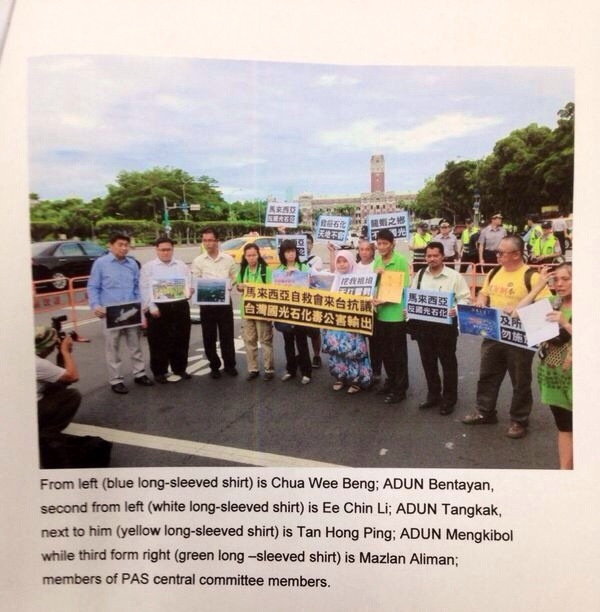 Chinese Chauvinist DAP ADUN Tangkak Ee Chin Li, ADUN Mengkibol Tan Hong Ping and ADUN Bentayan Chua Wee Beng were demonstrating infront of President of Taiwan, along with PAS Central Committee member Mazlan Aliman on 18 July 2013. They also submitted a memorandum to the Taiwanese President and demanded that Taiwan’s Kaokuang Petrochemical Co. stop investing in the RAPID project. Petronas is developing the RM60 billion EPP project in South East Johor. This is should be seen as nothing but an economic sabotage by persons who are legislators and elected representative of the rakyat. A London High Court Judge lashed against British Prime Minister David Cameron for his sub judicial statement against former co-editor controversial News of the World tabloid who later served Press Secretary to Prime Minister till January 2011, when the Conservative Party formed a coalition government with the Liberal Democrats in May 2010.. Application has been made to me to discharge this jury on the basis that it is no longer possible for Andrew Coulson and Clive Goodman to have a fair trial on the remaining two counts that the jury are considering. The application is based on the publicity last night and this morning following the verdicts delivered yesterday on count 1. Immediately after the verdict the PM issued a statement apologising for employing Mr. Coulson. That statement has been followed by pronouncements by a large number of politicians from all parties. I have not considered and will not consider anything that has been said in Parliament as that is covered by parliamentary privilege and is the sole prerogative of Parliament. I accept that that was the Prime Minister’s intention but I am afraid that to an extent his explanation misses the point. He has now told the public and therefore the jury that he was given assurances by Mr. Coulson before he employed him which turned out to be untrue. The jury were not aware of that before and it is a matter which is capable of affecting Mr. Coulson’s credibility in their eyes. Mr. Coulson’s credibility is a matter which is in issue on the final two charges that the jury have to consider. Other politicians have chosen to comment about Mr. Coulson and as a result the jury have heard of matters which were not admitted at the trial for legal reasons. I am certainly not seeking or intending to single out the Prime Minister. Politicians from across the political spectrum have seen fit to make strong comments about Mr. Coulson despite the fact that the jury are still deliberating. The Chairman of the parliamentary committee which investigated phone hacking has told the public that Mr. Coulson lied to them in the evidence that he gave. Evidence of what Mr. Coulson said before the committee could not be given in court as it would amount to a breach of parliamentary privilege. That was the view of parliamentary counsel which was conveyed to the court and which I accepted. Again that information is capable of affecting the jury’s view of Mr. Coulson’s credibility.Mr. Langdale who made powerful and well argued submissions to me relies on the public importance of those who made the comments and the increased likelihood therefore of the jury being influenced by them. This was a significant factor in the court of appeal’s decision in the case of McCann and as he says, while the decision is an old one, the principle has not changed. My sole concern is to ensure that justice is done. Politicians have other imperatives and I understand that. Whether the political imperative was such that statements could not await all the verdicts, I leave to others to judge. The issue for me now is to decide whether I am satisfied that Mr. Coulson will receive a fair trial on the other two counts or whether the prejudice is such that that is impossible. I have been referred to the decision of the administrative court in contempt proceedings brought against parts of the media following the partial verdicts in the case of Levi Belfield. I am satisfied that the revelations in those reports were considerably more prejudicial to the fair trial of Belfield on the remaining counts than is the case here. The decision in this application is entirely fact specific. Not merely is it fact specific but it is also specific to this jury who we all have been watching at work for eight months. First this jury have shown that they are entirely capable of putting out of their minds prejudicial material in reaching their decisions. At the start of this trial I heard two days of submissions on behalf of Rebekah Brooks to the effect that there was so much prejudicial material about her in the public domain that the jury would inevitably convict her and it was impossible for her to have a fair trial. She has been acquitted of all the charges against her. I trust that no one will maintain that complaint now. Everyone who has watched the jury have been impressed with their dedication and their ability to concentrate on the evidence and follow directions of law. Our legal system is based on the premise that juries comply with directions of law given by the Judge. We should not forget the stage of the case that we have reached. The jury at the moment are deep into an analytical discussion of the evidence on counts 2 and 3 and have been for sometime. I am fortified in that belief by consideration of the notes that I have received from them. There is no reason to suppose that they will be diverted from that course. We underrate juries, and particularly this one, at our peril. It should also be born in mind that by virtue of the verdict that the jury have already returned, they are sure that Andrew Coulson has lied to them about his involvement in phone hacking. Therefore, while important public figures in defence of their own position or to attack another’s have revealed other lies told by Andrew Coulson, those revelations will have less effect on the jury. I watched a fair amount of the news coverage last night in anticipation of this application. I have considered other material which has been referred to me. As I have made clear, I have also considered the cases of AG – v- Associated Newspapers and R – v- McCann. I have decided that the jury should not be discharged as I am satisfied that the jury will continue to try Mr. Coulson and Mr. Goodman on the evidence that they have heard in court and solely on that evidence. That does not mean that I am not concerned about what has happened in this case. I consider that what has happened is unsatisfactory so far as justice and the rule of law are concerned. The press in court have been extremely responsible in their reporting of this case but when politicians regard it as open season, one cannot expect the press to remain silent. I accept that this case is very unusual if not unique, but the situation could occur again and I would urge that discussions take place to try and set up a better system of dealing with it. I have considered whether, in the light of what has happened, I was correct to take partial verdicts. I am fortified in what I did by the fact that no counsel has suggested I was wrong even with the benefit of hindsight and by the fact that what I did accords entirely with the Practice Direction which lays down the procedure for taking verdicts and emphasises the necessity for the same procedure to be followed by all Judges. Opposition Leader Ed Milliband had a field day in the House of Commons taking pot shots against Prime Minister Cameron for “Bringing a criminal into No. 1o Downing street”. Seven years of deceit by David Cameron’s former director of communications were undone in the Old Bailey on Tuesday, when a jury found Andy Coulson guilty of conspiring to hack into phone messages. The verdict came at the end of an extraordinary eight-month trial that also saw Coulson’s predecessor as editor of the News of the World, Rebekah Brooks, found not guilty of phone hacking and three other charges. Her husband, Charlie, her former PA and a security guard were also found not guilty of the single charges they faced, as was the paper’s former managing editor. But the jury’s decision in Coulson’s case prompted Cameron to make a rapid and unreserved apology – while Ed Miliband countered that the verdict demonstrated that “a criminal” had been brought into “the heart of Downing Street”. The prime minister said he regretted his decision to employ Coulson first as communications director at the Conservative party in 2007, shortly after he left the News of the World after one “rogue reporter” from the tabloid had been jailed over hacking, and take him with him to Downing Street from 2010. Nevertheless, questions remain about the personal judgment of Cameron and whether he put his desire to be close to Rupert Murdoch’s newspapers before a dispassionate judgment of whether it was likely that Coulson as News of the World editor had no knowledge of phone hacking to gather sensational stories. Miliband was fierce in his criticism of Cameron’s attitude and his refusal to heed multiple “monthly warnings” from 2009, when the Guardian first reported that phone hacking at the News of the World may have been widespread. Miliband said: “David Cameron has very, very serious questions to answer … we now know he put his relationship with Rupert Murdoch ahead of doing the right thing when it came to Andy Coulson. There were dramatic scenes outside the court as Brooks and her racehorse trainer husband, Charlie, who was also cleared, left the dock. Coulson stood emotionless as he absorbed the news. Looking faint and close to tears, Brooks walked with the support of the court’s matron and her solicitor Angus McBride. The Brookses made no comment on the verdicts and left the Old Bailey to be confronted by a phalanx of photographers, TV crews and members of the public as she was shepherded to a waiting taxi. Asked if she had a comment to make, Brooks’s solicitor Angus McBride said she couldn’t say anything because the trial was ongoing, with verdicts still to be reached in charges faced by Coulson and the News of the World’s former royal editor Clive Goodman relating to corrupting public officials. Coulson’s conviction brings the number of people associated with the News of the World convicted of a hacking conspiracy to five. Before the trial three former newsdesk executives, including Greg Miskiw and James Weatherup, pleaded guilty, as did the phone hacker Glenn Mulcaire and a former reporter, Dan Evans, who confessed to hacking Sienna Miller’s messages on Daniel Craig’s phone. Neville Thurlbeck, the News of the World’s former chief reporter and news editor, pleaded guilty after the police found the tapes he had of Blunkett’s messages in a News International safe. Sentencing is expected early next week. The eight-month trial involving seven defendants came about following revelations first reported in the Guardian in 2009 that News of the World had routinely used hacking to get exclusives on celebrities, sports stars, politicians and royals. Coulson resigned as editor of the paper in January 2007 after the imprisonment of the private investigator Glenn Mulcaire and the paper’s former royal editor Clive Goodman for hacking a limited number of celebrities and royal aides claiming he had to take “ultimate responsibility”. Months later, Cameron in search of a media professional with knowledge of the tabloid newspaper mind hired Coulson after he received assurances from Coulson that Goodman was a rogue. It was not until Coulson entered the witness box that he dropped the bombshell that not only had he known about the hacking of Blunkett, but he had also listened to tape recordings of the intimate messages the cabinet minister had left on the phone of Kimberly Fortier, the then Spectator publisher. He also admitted lying to Blunkett when he failed to tell him how he knew about the affair when he confronted him at his Sheffield constituency office in August 2004. Born into a council estate in Essex, he became a star showbiz columnist on the Sun and went on to become editor of Britain’s largest selling Sunday newspaper from where he leapfrogged into Downing Street, becoming one of the prime minister’s closest aides. Brooks’s acquittal will provide some relief for Rupert Murdoch, who once described the woman who rose to be chief executive of his London based News International operation as his “top priority” when the phone-hacking crisis hit the company in the summer of 2011. Brooks was found not guilty of four charges including conspiring to hack phones when she was editor of the News of the World and making corrupt payments to public officials when she was editor of the Sun. She was also cleared of two charges that she conspired with her former secretary and her husband to conceal evidence from police investigating phone hacking in 2011. A spokesman for News UK – the British newspaper publishing arm of Murdoch’s media empire – said that they had put in place measures to ensure that the wrongdoing at the News of the World could not happen again. Prime Minister Dato’ Sri Mohd. Najib Tun Razak announces a Cabinet reshuffle, about 13 months after forming his first Cabinet from the mandate of a general election which he led BN as the Chairman on 5 May 2013. Dato’ Sri Liow Tiong Lai, Minister of Transport. Liow is MCA President. Datin Paduka Chew Mei Fun, Deputy Minister of Women and Family Development. Chew is MCA Vice President. Mah recently won the Teluk Intan Parliamentary by-election, defeating the DAP experimental candidate, which puts Gerakan back on BN’s map of elected representatives. This Cabinet reshuffle means that Chinese in Semenanjung are back being represented in the Cabinet. In May 2013, only Paul Low was the sole Chinese member in Prime Minister Najib’s first Cabinet. After the 2008 12GE, MCA was accorded with the traditional four Cabinet posts where as Gerakan is allocated one. At the time, MCA had still manage to have 15 MPs eventhough is dropped from 31 from the previous GE. In the current 13th Parliament, MCA has only seven elected representatives. On 5 May last year, Gerakan managed only to secure one. Mah as Teluk Intan MP, is Gerakan’s second seat in the Parliament. 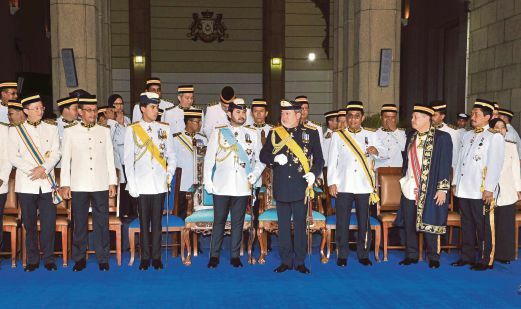 The swearing in to His Majesty Seri Paduka Baginda Yang DiPertuan Agong XIV would be held in Istana Negara on Friday. It is also speculated that Prime Minister Najib would be announcing the second bit of his Cabinet reshuffle soon and this time it is about Ministers and Deputy Ministers from UMNO. MCA expressed its gratification because its party leaders representing the Chinese community and UMNO’s oldest strategic political partner are back in the Cabinet and now part of the most strategic forum formulating macro and strategic policies. KUALA LUMPUR: MCA President Datuk Seri Liow Tiong Lai thanked Prime Minister Datuk Seri Najib Razak for the appointment of MCA’s representatives in his cabinet line-up in helping in nation-building. Liow said the appointment proved that the Barisan Nasional (BN) government led by Najib always strive to practise power-sharing in ensuring a harmonious development of this multi-racial country. “I thanked and appreciated the prime minister for this newly appointment of MCA ministers and deputy ministers. We will do our level best to perform and serve the nation and move the country forward,” he told Bernama here today. Liow, who is Bentong Member of Parliament, said, after leaving the cabinet for over a year, there were a lot of things that must be done by MCA’s ministers and deputy ministers to help the prime minister. “MCA needs to double up the effort to catch up with where we have left, there are many duties and, therefore, I urge all MCA new ministers and deputy ministers to give our level best to play out the role,” he added. The principle of ‘power-share’ which is the fundamental working relationship between the Malays and Non Malays, particularly the Chinese, has been normalised with this appointment of two MCA and one Gerakan leaders back into the Cabinet as Ministers. Federal Court decided against The Herald Weekly highly controversial and politicised appeal to allow them to use ‘kalimah Allah’ in the publication and upheld the Court of Appeal judgment against the Christian Federation of Malaysia’s weekly. PUTRAJAYA: The Herald Weekly today failed to get leave from the Federal Court to challenge the Home Ministry’s ban on its use of the word “Allah” in its Bahasa Malaysia edition. 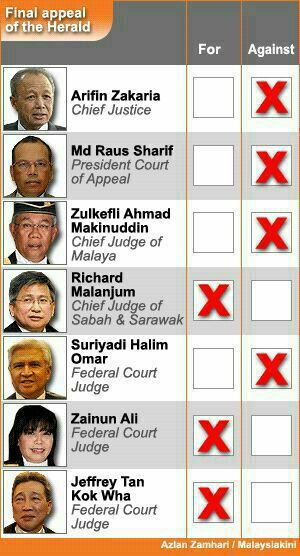 A seven-man panel led by Chief Justice Ariffin Zakaria delivered a majority 4-3 judgment on the matter, here, today. Also on the panel are Court of Appeal president Tan Sri Md Raus Sharif, Chief Judge of Malaya Tan Sri Zulkefli Ahmad Makinudin, Federal Court judge Tan Sri Suriyadi Halim Omar, Chief Judge of Sabah and Sarawak Tan Sri Richard Malanjum and Federal Court judges Datuk Jefrrey Tan Kok Wha and Datuk Zainun Ali. Earlier, Perkasa vice-president Syed Osman Mansor said the non-governmental organisation will not go against any decision made by the apex court. “Whatever the decision is, we will abide to it. We will not take it to the streets if the ruling is to allow an appeal. “Of course, we would be disappointed if the appeal is allowed but as I said we will abide to the decision,” he said. Perkasa president Datuk Ibrahim Ali said that disappointed or not the people will have to accept the decision. “We had on various occasions discussed this matter in our Supreme Council meetings and there will not be any sort of demonstration. Some 500 Perkasa members, men, women and children, clad in black T-Shirt written “Allah just for Muslim” had gathered at the Palace of Justice as early as 5.30am to show support. The four versus three majority at the Federal Court decision upheld that the definitive provision in the Federal Constitution 3(1) where it states ‘Islam is the religion of the Federation of Malaysia’ and 11(4) prohibiton to profess the faith of Non Islamic religion to Muslims, still stand. Despite this judgment is on the case brought forth by CFM to take to court Home Ministry for banning the ‘kalimah Allah’ in the Malay edition of the Herald, this should be the precedent and an end on the controversy, once and for all. Any interpretations about using “Allah” to replace “God” in Christian publications should fall back to this ruling. This include in the case of Malay bibles, confiscated from the Bible Society of Malaysia on 2 January 2014 in Damansara Kim, Petaling Jaya. Majlis Islam Selangor (MAIS), which is the state religious council and answerable directly to HRH Sultan Selangor already proclaimed that the seized bibles would not be returned. This is consistent to the titah of HRH Sultan Sharafuddin Idris Shah Ibni Almarhum Sultan Salahuddin Abdul Aziz Shah that “Allah is exclusive to Muslims and other faiths are prohibited to use it”. However, it is clear many pockets of minority who claims to be Malaysians and swore by the Federal Constitution including legal practitioners, are not able to respect the decision of the Apex Court. The 4-3 majority rule that translate to the interpretation of the existing laws in the context of upholding the Court of Appeal ruling to disallow the use of ‘kalimah Allah’ by CFM The Herald is sublime. KUALA LUMPUR, June 23 — The Federal Court should have permitted the Catholic Church to challenge a court decision upholding a ban on its use of “Allah” in its newsletter as the application met the criteria for appeal, said vice president of the Malaysian Bar Steven Thiru. Steven said the questions posed in the case had fulfilled the requirements of Section 96(a) of the Courts of Judicature Act 1964, which involved the questions of public importance, as well as Section 96(b) on constitutional issues. “It is regrettable that the Federal Court refused leave,” Steven told The Malay Mail Online today. “The Federal Court has missed the opportunity to decide on important points of constitutional and administrative law that affect minorities’ rights and the protection of minority rights under our constitutional scheme,” he added. Earlier today, the Federal Court rejected the Catholic Church’s application to appeal against the Home Ministry’s ban on the Arabic word “Allah” in its weekly paper, the Herald, in a 4-3 decision by the seven-member bench. Steven said the case of the Herald had raised important constitutional questions involving Article 3 (Islam is the religion of the federation), Article 8 (equality before the law), Article 11 (the right to profess and practise one’s religion) and Article 12 (the prohibition of religious discrimination) of the Federal Constitution. The lawyer added that the Federal Court’s refusal to grant leave to the Catholic Church meant that the Court of Appeal’s ruling last year stood. As part of its judgment, the appellate court said that “Allah” was not integral to the Christian faith and that the home minister was justified in banning the Herald from describing God with the Arabic word on grounds of national security and public order. “It could be used as binding precedent on the lower courts unless it can be distinguished on the facts (if the other cases are on very different facts) or is shown to be ‘per incuriam’ (if it is shown that the Court of Appeal’s decision is contrary to established principles of law),” said Steven. Already, its effects have been felt beyond the Herald, despite Putrajaya’s continued insistence that the ruling was limited to the Catholic paper. Last month, the Kuala Lumpur High Court struck out Sabah Sidang Injil Borneo’s (SIB) 2007 lawsuit against the Home Ministry for confiscating three boxes of Malay-language Christian publications that contained the word “Allah”, citing the Court of Appeal’s decision. It may also have repercussions on the lawsuit brought by Sarawakian Christian Jill Ireland Lawrence Bill against the Home Ministry for seizing in 2008 her personal compact discs (CD) containing the word “Allah” that is pending. When asked if the Federal Court’s decision nullified the Cabinet’s 10-point solution that allowed the distribution of Christian holy scriptures in the Malay, Indonesian and indigenous languages, Steven said: “This could well be the upshot of the decision if the Court of Appeal’s judgment is construed as being applicable beyond the Herald case”. The Christian Federation of Malaysia, an umbrella body representing churches nationwide, said today that it would hold Attorney-General Tan Sri Abdul Gani Patail and Putrajaya to a statement by the top lawyer on October 20, 2013, that the Court of Appeal’s decision was confined to the Herald. Steven also said that nothing in the Federal Court’s judgment, as read out in court today, would allow Selangor’s Islamic authorities to dispose of the Malay and Iban-language bibles that they had seized from the Bible Society of Malaysia in January. Last year, the Court of Appeal ruled that “Allah” was not integral to the Christian faith and that the home minister was justified in banning the Herald from using the Arabic word on grounds of national security and public order. Bar Council office bearers are demonstrating their attitude and arrogance no different to Chinese Chauvinists DAP. 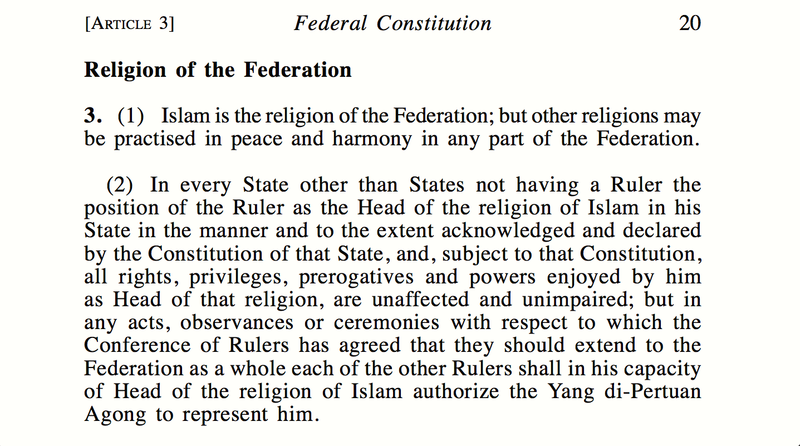 They neither respect the stance of Rulers as Constitutional Head for all religious matters nor the Federal Constitution and/nor State Constitution. The fact is that protecting the interests of minority by challenging against what clearly provided in the Federal Constitution, which is the document enacted by Parliament by representatives of the rakyat of upholding the sovereignty of this nation as an independent state. Should Wan Azizah and Nurul Izzah go to jail for Anwar? Opposition Leader Anwar “Mat King Leather” Ibrahim wants nationalist political party UMNO to pay up for Wan Muhamad Azri Wan Deris aka Papagomo, for Kuala Lumpur Session Court’s decision of awarding the suit case to the former and plaintiff to the amount of RM850,000.00. Opposition leader Datuk Seri Anwar Ibrahim (pic) today dismissed controversial blogger Papa Gomo’s request that he pay Anwar RM850,000 in cost and damages through RM100 monthly instalments. Refusing to comment further, the PKR de facto chief told reporters to refer the matter to Umno. “Don’t ask me, ask the Umno leaders who are sponsoring him,” he said after delivering a speech on the Asian Renaissance in Puchong today. The Kuala Lumpur High Court yesterday dismissed with cost an application by Wan Muhammad Azri Wan Deris to defer the payment, awarded to Anwar in a defamation suit against the blogger over statements and images posted on his blog implicating Anwar with another man. Wan Muhammad Azri, when met by reporters outside the court yesterday said he was trying to get the court’s permission to pay RM100 a month to Anwar because he is now a fisherman. – June 21, 2014. Earlier this year Kuala Lumpur High Court awarded Anwar, who sued Papagomo, the case. KUALA LUMPUR: Opposition leader Datuk Seri Anwar Ibrahim won his suit against Papagomo Wan Muhammad Azri Wan Deris over postings of defamatory words and images of Anwar with another man. High Court Judicial Commissioner Rosilah Yop awarded RM800,000 in damages to Anwar and RM50,000 in costs. In his suit filed on March 21 last year, Anwar said the defendant had wrongly posted four defamatory statements on the blog between March 16 and 20. In his defence,Wan Muhammad Azri said he had never published words, images videos or created any web link which was slanderous of Anwar. JC Rosilah found that the defendant was actually Papagomo. The fact is that, this call by former abuse-of-power-convict Anwar Ibrahim for UMNO to pay on behalf of Papagomo is not only inappropriate but ridiculously lame cheap stunt. Despite being an UMNO member, Wan Muhammad Azri or his nom d’plume Papagomo did not act on behalf of UMNO nor had undertaken the party instruction to slander and defame Anwar. This is something Anwar yet to prove. As far as it shows, Papagomo acted on his own initiative. Anwar also did not provide any evidence that Papagomo was promised or rewarded any remuneration for his slander against the ‘Dear Leader’ of PKR. If UMNO is made to pay up for or on behalf of Papagomo, then should Wan Azizah as PKR President and Nurul Izzah as PKR Vice President serve Anwar’s five years jail sentence for guilty of sodomising political aide Mohd. Saiful Bukari Azlan six years ago? PUTRAJAYA, March 7– Datuk Seri Anwar Ibrahim today was sentenced to five years’ jail by the Court of Appeal here after the court found him guilty of sodomising his former aide Mohd Saiful Bukhari Azlan, five years ago. Justice Datuk Balia Yusof Wahi, who led a three-man panel in hearing the prosecution’s appeal in the case, however, granted Anwar’s application for a stay of the sentence pending appeal with bail of RM10,000. Justice Balia ordered Anwar to pay the bail this Monday before 11 am. During the proceedings, the court was disturbed by Anwar’s supporters who made noise and shouted in court resulting Justice Balia warning them to stop it. In overturning the High Court’s decision in acquitting Anwar, Justice Balia said the panel unanimously held that the trial judge had erred in his findings that the integrity of DNA samples used in the case had been compromised. Anwar was charged with sodomising Mohd Saiful, 23 (then), at a Desa Damansara condominium unit in Bukit Damansara between 3.10 pm and 4.30 pm on June 26, 2008. Anwar’s counsel Karpal Singh, speaking to reporters later, said that with this ruling, Anwar could not file his nomination papers for the Kajang state seat by-election this Tuesday. The same principles should apply for Anwar Ibrahim’s jail sentence, which was determined by three different Court of Appeal judges. Wan Azizah and Nurul Izzah as PKR top officials stood their neck for Anwar too many times in their capacity as office bearers of the political party, trying to convince the Malaysian public and international community that the charge brought against the one time sacked Deputy Prime Minister was a sinister political ploy. After all, Anwar is a 67 years old man and younger persons should be allowed to serve his sentence for him. The truth is that Saiful made the complaint about Anwar buggering him at least eight times as a private citizen to the Police on his own accord. The Police investigated and after forensics, it was found the case had its merits and the charge was brought against the latter by His Majesty’s Public Prosecutor, acting on behalf of the Crown in the name of justice. Then again, its pointless to point out these principles to a man proven to be without any shred of principles, dignity, credibility, integrity and humanly worthy. Needless to say, that is time and again proven traits about a psychologically sick man whom Wan Azizah as PKR President proclaimed as “God’s gift” (Anugerah Tuhan) at PKR’s 7th national congress in November 2010. Yes. Its that time again. Former MRSM Students Alumni (ANSARA) is holding the annual blood donation campaign in all AEON Jusco Mall all over the nation, with co-operation with the National Blood Bank. ANSARA has been organising this campaign annually since 2007. So far, over 48,000 pints have been collected from members of the public and stocked in National Blood Bank. The campaign had always been pre-Ramadan, to alleviate the pressure of more demand for fresh blood when Ramadan season begins and towards the end, when Malaysians travel for the long Hari Raya Aidil Fitri holidays. Come and make a difference. Come and help preserve a life. Amidst intense nationwide controversy and negative connotation for YTL Power International Bhd.’s participation in the Project 4A Pasir Gudang combine cycle 1,000-1,400MW power station which was seen as self-contradicting MD Tan Sri Francis Yeoh’s faux pas of “Capital Cronyism”, the Group announced withdrawal from the project. KUALA LUMPUR: YTL Power International Bhd is withdrawing from a consortium which was given the go-ahead to develop a 1,000MW to 1,400MW combined cycle power plant in Johor. It said on Wednesday it had pulled out of the power plant development, called Project 4A, because of “misconception” over the way the contract was awarded. The consortium includes SIPP Sdn Bhd and Tenaga Nasional. “We are thankful to the government for having confidence in YTL Power, as part of the consortium, to deliver the project on a fast track basis. “However, in view of the misconception over the project, YTL Power has decided not to participate in the project under the present arrangement to dispel any misgivings over the government’s commitment to transparency and good governance,” the company said. To recap, YTL Power received a letter of award from the Energy Commission dated May 27, 2014 addressed to SIPP Energy, where YTL Power and Tenaga Nasional would be part of the consortium to develop the plan in Johor. On May 31, the Energy Commission announced the conditional award was required to fast track the construction of the project to meet system requirements and that the terms of the award stipulated that the tariff must be comparable to the Prai CCGT tender exercise concluded in 2012 that was awarded to TNB. 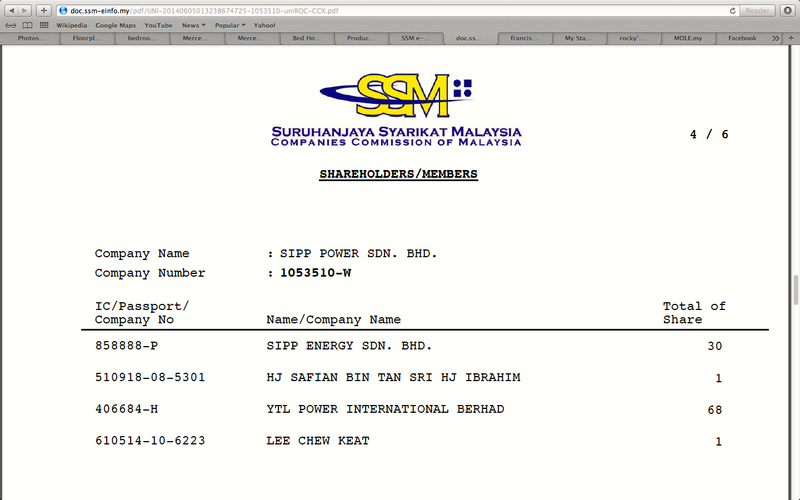 YTL Power said the Energy Commission was transparent over the terms of the award which had been announced. “Notwithstanding the Energy Commission’s clarification, there has, in recent weeks, been much misunderstanding and public debate over the award of the project,” said YTL Power. It added that due to the misconception over the project, YTL Power decided to pull out of the project under the present arrangement to dispel any misgivings over the government’s commitment to transparency and good governance. YTL Power also said it welcomed any opportunity to participate in the project or other new capacity requirements on a competitive basis and is prepared to do so on an accelerated timeline. “We are confident that we will be able to offer competitive rates as demonstrated in recently concluded tender exercises,” it added. Shamefully, Francis Yeoh who had his ego on a pedestal when he had wagged the dog unequivocally had to swallow his pride. A really face-in-the-mud experience for getting his Group’s business empire actually owing to a series of opportunities of brushing shoulders with the high and mighty. All and well. A really expensive lesson for the Yeoh family. However, the lesson shouldn’t end here. The award of Project 4A from Energy Commission (EC) to SIPP Energy Sdn. Bhd. on a letter dated 27 May 2014 should be quickly withdrawn. So many members of the public expressed their displeasure on how EC awarded the project to a totally unknown company. The justification is very simple. All awards from Energy Commission should be based on merits and competency, which something EC already decided for new power plant awards as far back as 2012. On that note, one of the capital market firms believe that YTL Power might try to bid for the Project 4A and 4B if and when EC open it for tender. THE Energy Commission (EC) has accepted the surprise decision by YTL Power International Bhd to pull out from a consortium that was awarded the job to build a power plant in Johor through direct negotiation. However, the regulator, in a brief statement yesterday, has left open the prospect of awarding the lucrative Track 4A project to build a 1,000MW to 1,400MW combined-cycle gas turbine power plant in Pasir Gudang, Johor, to a new recipient via competitive bidding. Late last month, the EC issued a letter of award to SIPP Energy Sdn Bhd, provided it includes YTL Power and Tenaga Nasional Bhd (TNB) as consortium members for the development of Track 4A. TNB has yet to decide on its participation and has until July 25 to do so. Subsequent to the direct award, there has been much public debate over the offer, composition of consortium and specified terms. In response to the negative public sentiment, the EC said YTL Power’s parent, YTL Corp Bhd, had submitted a letter to the government on Tuesday declining the invitation to participate in the project. “In view of the current situation, having conferred with all parties concerned, and in the interest of the project, we accept YTL’s decision to decline the invitation,” the EC added. YTL Power, in its statement yesterday, said it had withdrawn to “dispel any misgivings over the government’s commitment to transparency and good governance”. The management, however, maintained that it remains keen to participate in Track 4A through a competitive bidding environment, RHB Research said. Analysts, meanwhile, are still placing their bets on YTL Power to drive its power business locally. “I believe YTL Power’s decision to pull out was made based on public and shareholders’ interest. At the end of the day, I think only (the group’s chief) Tan Sri Francis Yeoh knows the real reason and intention,” Mercury Research head Edmund Tham told Business Times. Another analyst believes that if a tender is called for Track 4A and Track 4B, YTL Power will not hesitate to bid. RHB Research said YTL Power’s decision to pull out from the project will help ensure that TNB’s long-term interest is taken care of. “This should encourage a competitive operating environment, which can ensure efficiency in power generation costs among the existing independent power producers,” said RHB Research analyst Kong Heng Siong. The firm has revised downwards its fair value for YTL Power to RM1.54 from RM1.71 following the announcement. It, however, kept its “neutral” rating with a target price of RM1.54. YTL Power closed 1 sen lower yesterday at RM1.47 a share, with 5.88 million shares traded. YTL Power’s withdrawal at this stage is probably a tactical retreat. We are not sure who within the key personalities within SIPP Energy Sdn. Bhd., a company which was formed in 2012, have the necessary qualifications, experience and exposure in the energy and power generation business and operation. That would be the fundamental factor on why SIPP Energy shouldn’t be awarded the project to begin with. 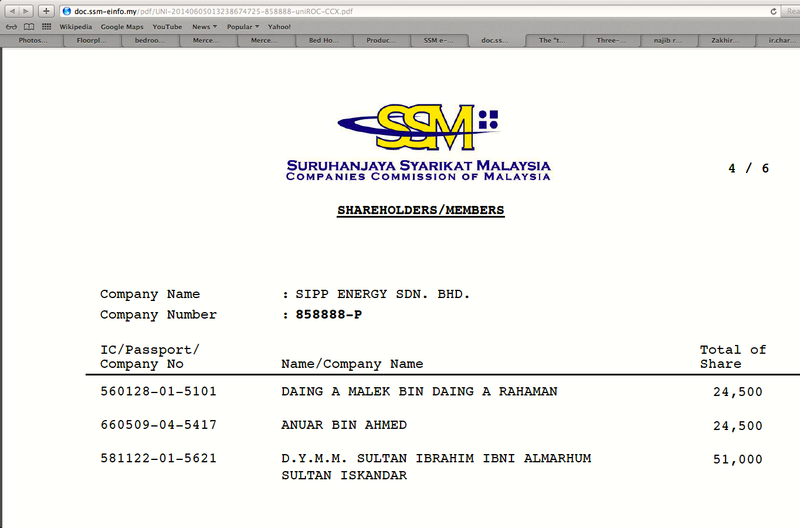 Shareholders of SIPP Energy Sdn. Bhd. Fourth Prime Minister Tun Dr. Mahathir Mohamad urged EC to re-tender the project, and offer them on a ‘beauty contest’ to a selected pre-qualified power generators which have proven in their operations and business to bid for Project 4A, applying the best business practices. On the same note, EC should also review all power purchase agreements between independent power producers (IPP) and TNB. Especially, YTL Power’s Paka power plant, which was the nation’s first IPP deal. This is to ensure EC getting the best deal for the supply of power to TNB, which eventually would affect the rakyat. If HRH Sultan Ibrahim Ibni Sultan Iskandar wants to be actively in business, as proven in this case, then best business practices should apply. Otherwise, the impression would be that any companies or businesses with HRH Sultan Johor’s direct or indirect interests are obtained from clout and influence of the sovereignty position as a Ruler. The Federal Constitution provided a special role and position for a Ruler under the separation of power principle in the Constitutional Monarchy democratic system where the government is formed by the control of the Parliament. That, which is the fundamental element when this nation was found and given birth to as a sovereign state, should be preserved in principle and practices. Just like the 1960s Cold War strategy ‘Salami Tactics’. First the got Selangor. Now, they are taking the rights of the Malays, bit by bit. The Selangor State Government SELCAT have to really explain the Auditor General’s Report about 24.08ha Malay Reserve Land be given to Non Malays. SHAH ALAM: The Auditor-General has suggested that Selangor Land and Mines Department and district and land offices carry out an investigation to identify the causes behind the giving of ownership of Malay reserve land to non-Malays. They should also look at how to prevent the transfer of ownerships of Malay-held land to non-Malays from further taking place and make appropriate cancellations and replacements of Malay Reserve lands, the Second Series of the 2013 Auditor-General’s Report said. The report revealed that 24.08ha of Malay Reserve land in Selangor were now owned by non-Malays. A review on 129 official search of the ownership documents found it involved 18 (13.9%) land ownerships in the Klang, Kuala Selangor and Sabak Bernam districts. This adversely affected the interests of Malays and the size of Malay reserve land which could be given ownership to the Malays was reduced, it said. Based on a feedback, dated April 7, 2014, the Kuala Selangor District and Land Office (PDT) stated the owners of the land were non-Malays. According to the Klang PDT, this took place because the land was involved in a demarcation process with the endorsement of Malay reserve land not included when new ownership rights were registered, resulting in transfer of ownership to non-Malays. However, Klang PDT did not furnish proof to support the dealings in ownership transfer, according to the report. The report also revealed that Malay reserve land in Ampar Tenang, Sepang and Sungai Lang, Sabak Bernam were occupied and worked on by non-Malays. They opened food stalls, car workshops and constructed buildings on the Malay reserve land. This is already ‘Thinning of the wedge’. The ‘Writings on the wall’ was apparent when the 3 Aug 2011 JAIS raid on Damansara Utama Methodist Church (DUMC) in Section 13 happened. Chinese Chauvinist DAP’s mouth piece charged that Majlis Agama Islam Selangor backing of Jabatan Agama Islam Selangor’s (JAIS) raid on Bible Society of Malaysia earlier this year and confiscated a few hundred bibles, is unconstitutional. The fact is that BSM violated Article 3(1) and 11(4) of the Federal Constitution and the Propagation of Non Islamic Religion to Musilms Enactment 1988. The Chinese Chauvinist DAP have been for years wanted to take control of Selangor. To be exact, 45 years last month. Now that they have got Selangor, they want to strip the Malays of every bit from what is rightfully theirs. More over, provided in the Federal Constitution. First they lied. Even though the damnest evidence has prevailed. Like the rampant prosetylsation of Malay-Muslims in Selangor, proven in the 3 Aug DUMC raid. Now, its time to steal from the Malays. Soon, they would just grab what ever they want, right under the nose. They would have little conscience about taking what doesn’t belong to them, nor does it violate the rights of the majority. And they would be combative about it. On Monday, MB Johor Dato’ Seri Mohamad Khaled Nordin pushed through in Dewan Undangan Negeri Johor for an amended Johor Housing and Real Property (JHPA) Enactment 2014 to be passed, amidst controversy drawn for a law which so many opined contradicted the principles of power of separation between Ruler and Executive. Today, it has been reported that Sultan Johor felt that there was no need to rush for the enactment to be signed. Insisting that he only has the best interest of the people at heart, Sultan of Johor Sultan Ibrahim Sultan Iskandar assured he will not interfere in state matters. The Sultan said this would include matters related to housing and land. While the ruler has maintained silence since controversy erupted over the Johor Housing and Property Board 2014 enactment, Sultan Ibrahim told a local English daily today that all he wants is for his subjects to understand the enactment and be happy about it. In an interview with The New Straits Times, the Sultan said he had put forth the suggestion of having a roadshow where state government representatives would go around Johor to explain what was in the enactment. Sultan Ibrahim said he had also suggested for Johor Menteri Besar Datuk Seri Khaled Nordin to go on the roadshow himself and explain the provisions. While the state legislative assembly on Monday had passed the enactment with several amendments, the Sultan has yet to sign it. This, he said, was because he wanted the people to understand the provisions within the enactment first before he signed it. “My priority is my subjects. They have always been and will always be (my priority),” he was quoted as saying. He added that he has no qualms in inking the enactment once his subjects are happy about it. It was rumoured yesterday that Sultan Ibrahim would not put his signature on the enactment, however, the ruler dismissed it and asked people not to listen to rumours. On Monday, after much criticism from various quarters, the Johor state legislative assembly passed the controversial housing enactment. 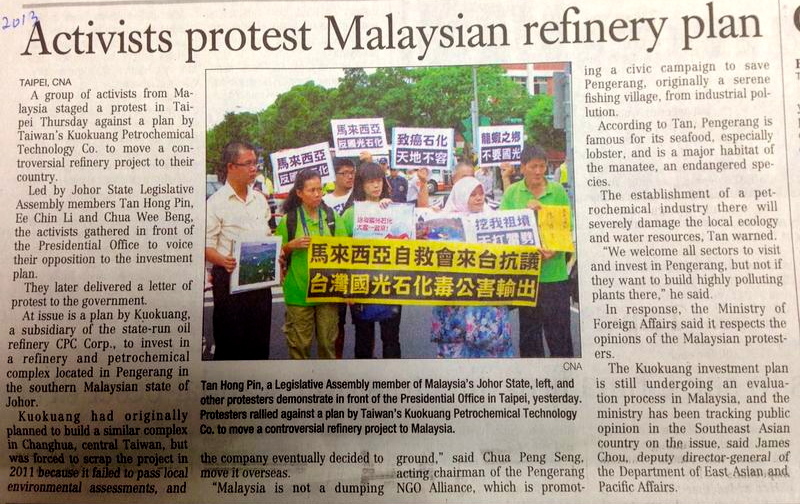 It was supported by 38 Barisan Nasional (BN) assemblymen, while 18 Opposition representatives were against it. The bill was passed after it was debated by 8 assemblymen — 5 from BN and 3 from the Opposition. It also saw 8 clauses being amended, involving 10 subsections. The amendments included the limitation or removal of the Sultan of Johor’s executive powers in the enactment. Another amendment saw the Sultan no longer having the power to determine the allowances of board members. The appointment of the board’s directors, which prior to this was subject to the approval of the Sultan, has been amended to the approval of the Sultan, on the advice of the Menteri Besar. Also on Monday, Johor Council of Royal Court president Datuk Abdul Rahim Ramli pointed out that Sultan Ibrahim had never interfered in politics. The council also assured there would be no abuse of power on his part, reported national news agency Bernama. “Sultan Johor Sultan Ibrahim is a credible ruler who listens to advice in carrying out his duties. Tuanku is well-versed with the provisions of the Johor State Constitution 1895 and other laws and rulings, and the limits of his power and privileges,” Abdul Rahim was quoted as saying. It is baffling why Johor State Government rushed to have the enactment passed. Speaking to media after the enactment was passed, MB Johor Khaled quipped that “People outside Johor do not understand”. That is probably meant for many persons which include Prime Minister Dato’ Sri Mohd. Najib Tun Razak, former Law Minister Tan Sri Dr Rais Yatim PhD. and Deputy Agriculture Minister Dato’ Tajuddin Abdul Rahman. What is interesting, the opposition for the enactment which has been seen as contradicting the principle of separation of power in the Constitutional Monarchy democratic system this nation adopted came from former Prime Minister Tun Dr. Mahathir Mohamad and former Deputy Prime Minister Tun Musa Hitam. This is first time in almost 30 years both came together on the same page. So now that Johoreans shoudl understand better than those who live in Johor, why is there a need for Sultan Johor to suggest that MB Johor Khaled, his Excos and senior Johor Civil Service officers go all over Johor and meet the rakyat to explain on an enactment which was passed in a rush? Shouldn’t the roadshow be done well before the enactment be put into the DUN Johor for tabling, debate and vote? MB Khaled also said in the same media conference that the new Johor Housing and Property Board would be incorporated by next year and started operations. What is interesting, the pro-Opposition online news portals are speculating that the JPHA has got something to do with Sultan Johor’s personal business interests. Needless to say, this would be a story that would be gossiped in the grassroots from this point. Considering Ramadhan is around the neighbourhood and Hari Raya Aidil Fitri is less that seven weeks away, the season where the Malays converge and gossip even more intense, then the perspective would spiraled into something chronic. Many people would seriously be baffled and eventually doubt MB Johor Khaled’s role to advise Sultan Johor and manage the State Government and administration or a spokesman on behalf for Sultan Johor on specific subliminal agenda. A lot at stake here. Even though Johor is perceived to be BN’s fixed deposit in Semenanjung, the fact is that Johoreans translate their frustration through the ballot boxes. BN’s control in DUN Johor slide from 6 Opposition ADUNs in 12GE to 18 Opposition ADUNs in 13GE. A lot at stake here.